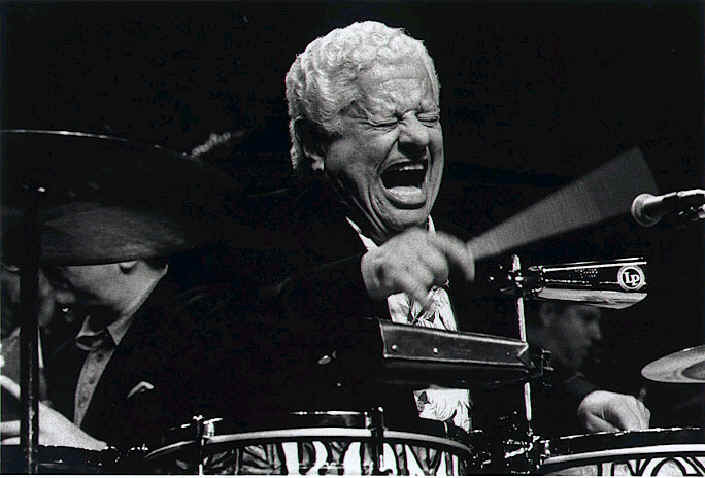 Tito Puente (1923-2000) was known as El Rey de la Salsa (The King of Salsa) and El Rey del Timbal ( the King of Timbales). He was born and raised in El Barrio of East Harlem. After serving time in the army, he studies at Julliard. He then went on to record over 100 albums and win four Grammys. 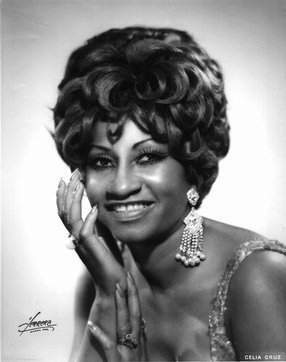 Celia Cruz (1925-2003) was born in Cuba and migrated to the United States during the Great Migration. She began her career as a singer on Cuban radio programs. She later joined Tito Puentes orchestra in 1966. Over the next 4 decades she recorded over 70 albums, won one Grammy, and the title "Queen of Salsa". Born in Spanish Harlem (the Hispanic Ghetto), Palmieri began playing the piano at a very young age and progressed quickly, performing at Carnegie Hall at age 11. His career began in the 1950's when he joined Eddie Forester's Orchestra. For the next decade, he jumped from orchestra to orchestra. In 1961, he finally began to write and arrange his own music and formed the band Conjunto La Perfecta. Since then, he has been very involved in the upbringing of many artists such as La India, the "Princess of Salsa", and Latino Pop icon Marc Anthony. He has won eight Grammys and made over 30 albums. La India was born Linda Viera Caballero in 1970 . Growing up in the South Bronx, she was greatly influenced by the fusion African-American and Latino culture. After signing with Warner Brothers, they sought to make her the "Latin" Madonna. But La India quickly decided that wasn't the musical route she wanted to take. In 1992, she began to work with Salsa artist Eddie Palmieri and went on to be known as the "Princess of Salsa" after releasing 11 albums and winning two Latin Grammy nominations and three Grammy nominations. Born in 1963 in the New Jersey, Domingo Quinones has proved himself to be a well-rounded singer, actor, producer, and composer. He has recorded with artist such as Tito Puente and recorded 7 albums. 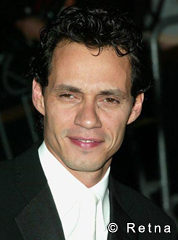 Marc Anthony was born in 1968 in New York City. He is best known for his Latin-Pop. His first album was a Latin r&b and hip-hop album featuring guest appearances by Tito Puente and Eddie Palmieri. He not only make Spanish albums, but also successfully made the transition to the American culture by making two English albums. Anthony has won three Latin Grammys and one Grammy. 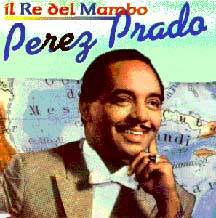 Dámaso Pérez Prado (1916-1989) was a Cuban bandleader and composer, known as “the King of the Mambo.” He simplified the Cuban mambo and popularized it in Mexico and the U.S. He recorded “Mambo Jambo,” “Mambo No. 5,” “Mambo No. 8,” etc. Some of his pieces stayed number one on the American charts for 10 consecutive weeks. 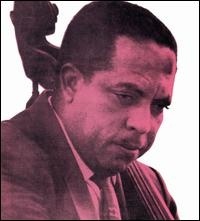 Israel "Cachao" López (1918-), a Cuban acoustic bass player, with his brother Orestes López (cellist and pianist), introduced the ritmo nuevo that led to the creation of the mambo. He popularized mambo in the U.S. and has won several Grammy Awards for is work with various Latin music stars, including Gloria Estefan, Bebo and Patato Valdés, and Tito Puente. 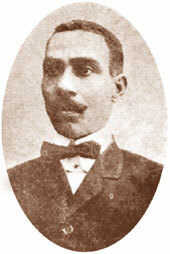 Antonio Arcaño (1937-1947) and his band, called the marvillosas, started playing the Cuban dazón in a different way that made mambo its own genre. His band played the López brothers’ danzón called “Mambo. 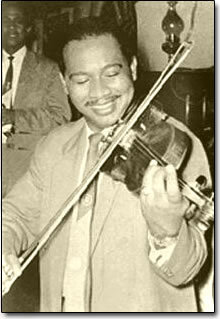 Enríque Jorrín, a violinist who is credited for creating the chacha. 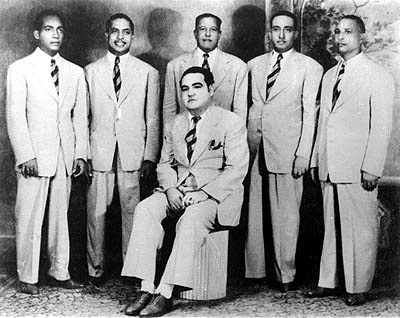 Trio Matamoros, with members Miguel Matamoros, Rafael Cueto, and Siro Rodriguez, was one of the most popular early Cuban bolero bands.